Lenovo today launched the Moto M, an aspirational upper-mid-range smartphone. The company is pushing it heavily for its metal body and looks as well as its well-rounded feature set. That is to say, there is no one standout feature such as a massive front camera - the screen, battery, and camera capabilities are all balanced. We were present at the company’s launch event, and here are our first impressions. The look is certainly an improvement over previous plastic Moto phones, including the G and X series, but the Moto M does have echoes of other devices we’ve seen, especially HTC’s One range. It’s curved in all the right places, and thankfully isn’t slippery. The Moto M is only 7.85mm thin and feels comfortable in one hand. Build quality seems pretty good overall. A water-repellent “nano coating” should help prevent damage that could occur as a result of exposure to liquids, but this phone isn’t being promoted as waterproof. The 5.5-inch full-HD screen is crisp, and the speakers have Dolby Atmos sound enhancement for added depth and richness. 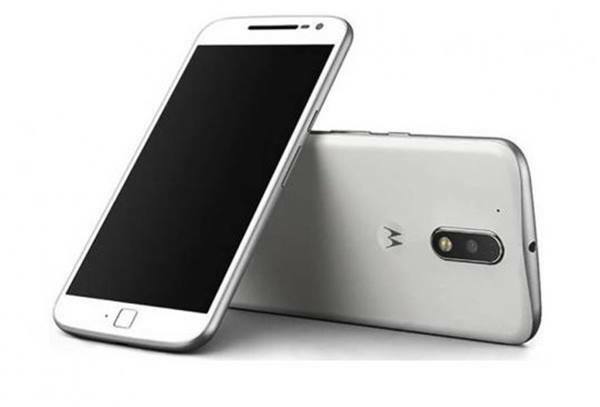 This is the first Moto phone to have Dolby Atmos, but we’ve seen it on several Lenovo models. In our short time with the unit, we were able to run an Atmos demo, and both the screen and the speakers were impressive. We will have to reserve final judgment till we can review the Moto M both indoors and outdoors, with our standard test content. The power and volume buttons are on the right, and there’s a fingerprint sensor on the rear just where your index finger rests. Above it, there’s an oval bump for the camera and flash. The battery is sealed in, but has a capacity of 3,050mAh. Rapid charging is also supported. The phone takes two Nano-SIMs, but has a hybrid tray which means that you have to sacrifice the second SIM if you want to use a microSD card. There’s a 16-megapixel rear camera with phase detection autofocus, and an 8-megapixel front camera. There’s a selfie beautification mode in the camera app too. The processor is a 2.2GHz octa-core MediaTek Helio P15. You get Android 6.0.1 with thankfully no modifications, and the interface is beautifully sparse and fluid. Two versions of the Moto M will be available when it goes on sale; one with 3GB of RAM and 32GB of storage for Rs. 15,999, and another with 4GB of RAM and 64GB of storage for Rs. 17,999. With such a small difference in price, the latter option makes a lot more sense. The Moto M goes on sale just before midnight on the 14th of December, exclusively on Flipkart. Stay tuned to Gadgets 360 for our in-depth review of the Moto M’s performance, build quality, camera quality, and battery life.